Mirrors and other processed glass are used extensively in the recreational industry and for decorative home use. We can suggest styles, designs and special finishes or manufacture to your specification. We supply and fit mirrors and products of all types in any location required. 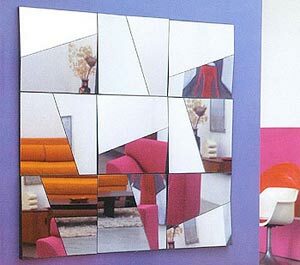 All our mirrors can be supplied with bevel and/or polished edges. Examples of our work are available on request. Previous projects have included hotels, nightclubs, restaurants, leisure clubs and hair salons. For security purposes we also supply Observation mirror. With our in house processing machinery we can cut and shape mirrors to any specification. Along with the ability to cut and shape mirrors we have the ability to shape polish and shape bevel, a process that is done hand done by our skilled members of staff to achieve a first class finish. Along with being able to supply as cut, polished and bevelled mirrors, we are able to drill glass with our specialised glass drill to enable you to hang a mirror and take it down as and when you require. We also offer a safety backing service for added protection to the back of the mirrors. We carry our own stock of various mirror fixings from specialised mirror adhesive to mirror screws at varying lengths with dome covers to bring a seamless look to the mirror. Our Italian sand blasting equipment enables us to provide unique products directly to you. Its computer controlled twin jet heads ensure that the finished product has uniform gradient across the whole surface. We provide a large selection of designs for any purpose, including mirror cut-outs, door panels, signage, etc. Thousands of decorative designs are available from our extensive catalogues or we can provide bespoke designs from your scanned images for specific emblems or crests. Image sizes are available from 200mm x 200mm up to 3000mm x 3000mm. The Fusion collection of fused glass tiles opens up a whole new world of possibilities for decorative glass. This innovative range consists of small pieces of coloured fused glass, which can be bonded to flat glass to create stunning decorative effects for applications such as door panels, glazed partitions and furniture. The Fusion tiles look especially attractive when used in conjunction with Sandblast / Etched Glass or Brilliant Cutting. No lead is required to cover the edges. The range features just 10 glass colours for easy mixing and matching of tile styles in co-ordinating colourways. The tiles are manufactured from top quality "Spectrum" Fusing Compatible Glass to ensure consistency of colour, clarity and repeatability. Each tile is made from 3mm clear glass cut to shape, then the design is heat fused onto the top in coloured glass. This simple and cost-effective Fusion system brings an exciting new look to glazing. Using the same technology applied for the fusion tiles we are able to create free standing UV Bonded glass boxes or shelves even complete glass tables. Windows films are transparent layers of high quality polyester. They can be metalised, laminated and coated using special adhesives, ultraviolet inhibitors and protective scratch resistant coatings. They can also be made as 'sputtered' films, which is the manufacturing process whereby metal particles such as gold, titanium, stainless steel, copper and aluminium are embedded into, rather than onto, the polyester film. Select concentrations of metal particles allow for varying degrees of colorant solar energy rejection capability. Window films are mainly applied to the inside surface of smooth glass though some are suitable for external usage. They are available in clear, tinted, reflective and an array of decorative patterns. The interactive relationship between an applied film and the existing glass in situ is important in achieving a client's requirement, without any detrimental effect on their existing glass or the applied films performance. Due to this, we recommend that our clients have their premises surveyed by us, prior to specifying all applications. Windows films can reflect over 75% of the suns total solar energy and block out almost 100% of harmful and damaging ultraviolet. You can experience a variety of benefits after installation, depending on the choice of film. Heat and glare in the work place or at home can result in a poor working environment, unusable rooms or offices. This can cause low productivity and discomfort for personnel. Our range of solar control films can help to even out excessively high and low temperatures in most glazed buildings. Solar control films can reflect solar energy and reduce glare, improving working and living conditions. They are ideal for reducing heat absorption in conservatories and glazed areas. Low-e (low emissivity) films have an all year round benefit by reducing expensive heat loss through glass. This helps the environment and compliance towards the revised Document 'L' of the Building Regulations. The primary function of our safety and security films is to help reduce the risk of damage and injury caused when glass breaks. These specially constructed window films are designed to help keep dangerous shards of glass in one place. Though safety and security films are similar to solar films, there are two basic differences between them. To increase strength and resistance from breakage and puncture, safety and security films are thicker and they are coated with stronger pressure sensitive adhesive, to provide elasticity or a shock absorbing property to retain glass shards. Transform your kitchen with beautiful contemporary glass splash backs and worktops in any colour taken from a vast RAL, PANTONE or DULUX chart selection. Bedford Glassworks, manufacture, supply and fit a wide variety of back painted glass splashbacks which mainly use a RAL, PANTONE or DULUX colour range however clear glass and sandblasted glass is also available. 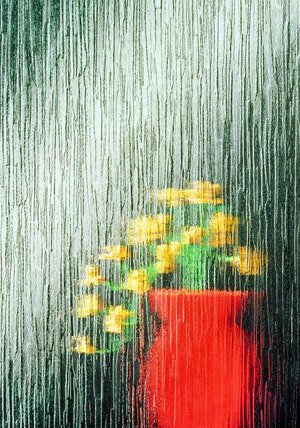 These are usually found to enhance the look of a room whether it is in the kitchen, bathroom, shower or even a wet room. The Low-iron/ Optiwhite glasses that are used specifically for this type of work are specially designed to allow the true colour of the paint to come through without distortion. This allows a nice crisper look which can also be enhanced even more by the addition of 'sparkle'. This can be applied in various levels of intensity. There are two choices of silver sparkle or a rainbow sparkle. 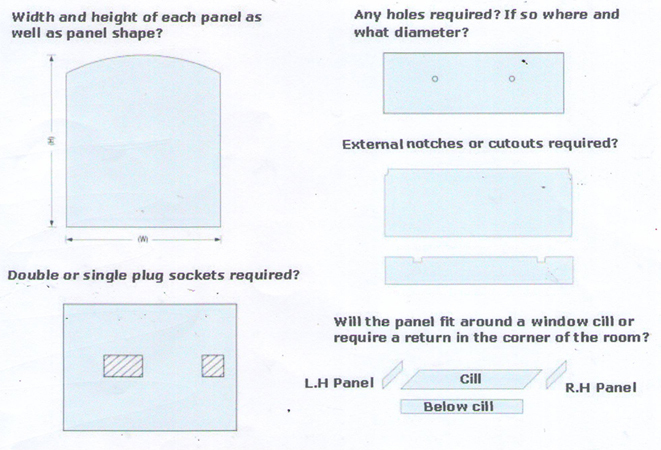 The splashbacks can be made to an accurate drawing or to a template (wood preferred). Within our supply and fit service we can measure up and even make the template for you to ensure piece of mind. Then return to put the pieces in place leaving you to carry on with your daily routine hassle free. Below are a few details of just some of the things that can be achieved. We supply and fit toughened frameless shower and wet room screens to your specification. There are a large range of fittings to secure the glass dependant on application. We can add sandblasting/etched designs for decoration or to provide privacy as required. We can supply glass worktop with sink cut-outs and holes for taps or fittings, colour matched to your choice. We also supply mirrors to your design/specification which can include heated sections to provide clarity in steamy areas. With a wide range of hinges and handles available we can create your dream wetroom or bathroom. From small screens to floor to ceiling panels we can do it all. Using our in-house processing machinery we can make glass panels to fit any size of opening and any shape. We have worked extensively with various forms of balustrading over many years for applications such as staircase and landing, external balcony and decking areas. Bespoke, toughened glass in 6mm to 15mm thicknesses can be cut and shaped to your requirements. Polished edges and shaped bespoke pieces with cut outs and holes for fittings can all be done in-house. Your home can be transformed allowing maximum natural light to filter into your living space. Glass ballustrading is becoming ever popular with the modern home. Replacing the old wooden banisters with glass is a great way to allow more light into the property along with bringing a modern look. You can choose from clear, tinted or sandblasted panel to suit your decor. As with all of our processes we can cut and shape these to specification either through a wooden template or a CAD drawing. Some construction companies require fixing of glass to existing or new frames on site. Our experienced staff will assess and discuss your requirements before supplying quotations, with exact measurements and requirements taken before commencement of work. The products will be supplied by ourselves and installed by our experienced fitting teams. We have vast experience working on many varied projects including full housing estates, exclusive individual properties, regeneration and urban renewal projects, schools, hospitals and commercial properties. Our facilities at Leigh branch feature Bottero edging, bevelling and shaped bevelling machines alongside diamond drilling, sawing and polishing equipment. We are able to offer flat and arrissed edges on glass up to 25mm thick. Our Bottero CNC glass processing system uses 28 exchangeable tools which can provide a myriad of finishes, cuts and details. These include: Bevelling, Drawing, Writing, Routing, Boring, Brilliant Cutting, Polishing, Grinding. We can process sheet glass up to 3000mm x 1500mm in size and in thickness from 4mm to 50mm. This technology enables us to produce bespoke items of highly complex design, which have previously only been hand manufactured on an individual basis. We can replicate any design as many times as required to exact specification. If you supply templates, they will be laser scanned for complete accuracy. We can also use your supplied CAD designs in various file formats to produce the finished work. These can be sent by either email or in disk form. Failed or broken double glazed units can be replaced by our staff in either wood, aluminium or U-PVC frames. Our double glazed units carry a no-quibble five year guarantee when glazed to our specification. We manufacture both replacement units and units for new frames using up to date technology. Our trained staff produce units to the highest quality, to BS/EN 1279 standards. After much research, we invested in Argon gas filling machinery to offer reduced U values on double glazed units and a quicker lead time on gas filled units. All manufactured on site in our purpose built premises. Whether for the construction industry or domestic market, we can supply and fit frames to your requirements. Construction industry tenders can be calculated for complete houses from your drawings and submitted for your approval. Cavity closers are delivered to your site to be built in during construction. The frames are then fitted along with double glazed units by our trained staff. Our glaziers measure to suit your requirements whether domestic or commercial with a no job too small approach. If we can WE WILL! Along with the supply and fit we do offer a supply only too for all those wanting to fit the frames themselves. We aim to please from the start of the measure to the end of the fit with a good turnaround and it all starts with a no obligation quotation. We strive to offer the best service we can with a view to completing each and every job on time with no hidden costs. Our glaziers carry a select set of brochures to peruse through to choose the frames and doors of your dreams. We supply fire rated glass to your specifications in clear and wired varieties. For stoves and ovens we can supply specialised ceramic glass. This is a special product manufactured to resist the constant high temperatures whilst in use and yet allow full visibility through the door. We also supply Toughened and Laminated glass in various forms to suit many safety requirements. Any glass below 800mm from ground level is required by law to be safety glass. We carry a varied range of fire resistant / safety glasses. These range from Wired Pyroshield clear and textured to Pyroguard and Pyrodur. We also supply Toughened, laminated and ceramic glasses. As with most processes and glasses there are regulations in place so we supply the correct product for the means required. We only require a little information in order to supply you with the regulatory pieces of glass. Specific requirements can be met with the minimum of delay through our contacts with leading manufacturers. Our stock is available at both branches. For privacy, pure style or to allow more light into internal rooms, Pilkington Texture Glass gives you a fantastic range of attractive options. The range offers no fewer than 18 different designs, from traditional to contemporary, no one offers a bigger choice of original designs. With a wide range of original designs and the Pilkington Oriel etched glass range offering even more possibilities ?all with the quality you would expect from one of the most recognised glass brands ?there really is no better decorative glass choice for your home.